IPVanish claims to be the world’s best! We can think of a few other VPN services that also have similar slogans. Can this one take the title? “The World’s Best VPN Service” – That’s a bold claim! Upon opening the IPVanish website, one of the first things you would see is their bold claim of being “The World’s Best VPN Service”. You’ve heard and read a few things about IPVanish, but we just can’t take all of those as gospel truth. In this review, we will investigate if IPVanish can indeed live up to their claim. Servers and Locations: 40,000 IPs, 1,000 servers, 60 countries? Yeah, we like it! 40,000+ IPs. You probably won’t run out of IPs. IPVanish lists around 1,000+ servers on their website; these are spread around more than 60 countries around the world. Around 90% of their servers are based in the North Americas and EU regions. This is great for users since most of them will want to connect to those servers anyways. 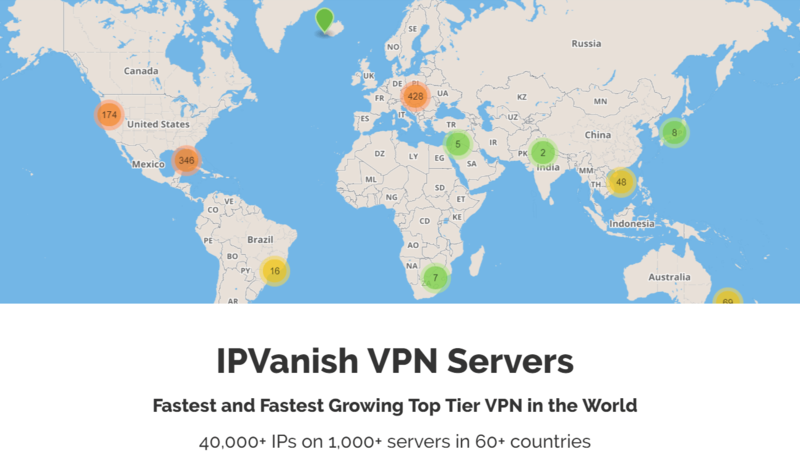 Looking at their server count alone, we are not exactly convinced that IPVanish deserves the title of “The world’s best VPN service”. IPVanish also features a nice filter function within the program. By server count alone, IPVanish isn’t taking the title of “The World’s Best VPN Service” since ExpressVPN has roughly double the amount. It is a little disappointing that IPVanish doesn’t offer so many servers, but it’s probably because it’s a vanity metric. What good is a server count if the servers don’t work? Server count alone is not the only metric of a good VPN. IPVanish uses tier-1 fiber optic servers to provide the highest grade speeds. The company also claims they protect you from throttling! Despite the relatively limited server count that IPVanish has to offer our tests have shown that this is well compensated by the speeds that their servers can produce. The results were definitely above average. This isn’t so bad as far as speed goes, in fact, these are speeds that VPN users should be expecting when they pay for more expensive VPN services like IPVanish. This should be great news for those who use VPN for P2P sharing of large files and for torrenting. The speeds that we see here are considered pretty decent as far as VPNs go. Despite the fast speeds that IPVanish provides, this is still not included in the fastest VPNs that we have tested. But even with that said, IPVanish remains to be a strong competitor. Those who use VPNs for torrenting are in for some great news, torrenting works absolutely fine on IPVanish’s servers. As mentioned earlier, speed tests came up with more than decent results. These speeds translate well on torrenting performance, we were able to have stable downloading connections while downloading through IPVanish. Server selection wasn’t a problem as most, if not all servers allow for torrenting. We just wish that for the price point, IPVanish would start to offer dedicated P2P servers for even faster downloads. If you prefer VPNs with dedicated P2P servers, we recommend these torrent-friendly VPNs. IPVanish performs strongly in terms of device support, most of the bases are covered by IPVanish (Windows, Mac OS, iOS, Android). Apart from those mentioned, their website offers configuration support for platforms such as Linux, Chromebook, Amazon FireTV and even routers. 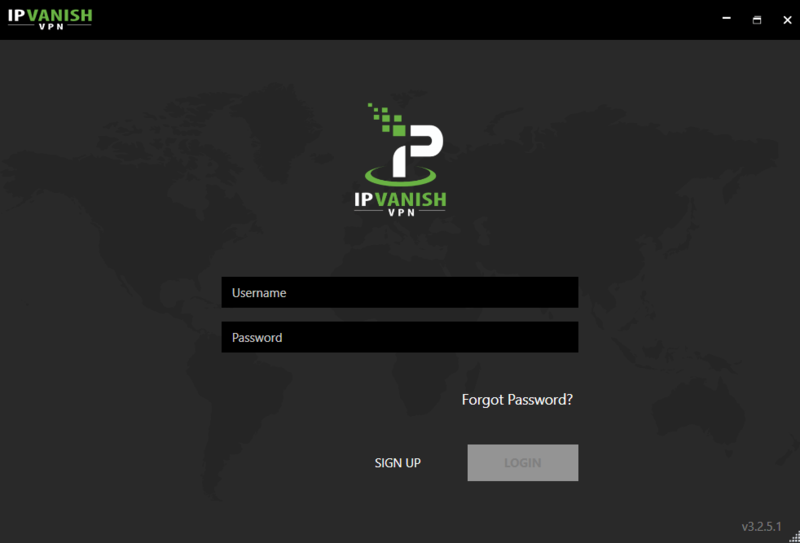 Off the bat, IPVanish VPN allows up to 10 devices to be simultaneously connected to their network per subscription. Using a VPN router would allow for even more devices to be connected and should you use this for a home setup, your guests could also take advantage of the privacy that a VPN has to offer. More than that a VPN router would also allow unlisted devices to be compatible with a VPN, like the PlayStation and the Xbox. Signing up is pretty straightforward, you would be asked to enter an email address, a password and your payment details (credit card information). After which, you can download and start using the VPN. If you stay long enough on the signup page, you will get a pop-up that would give you an extra 20% discount. The offer is good for 10 minutes only. Indecisiveness finally pays off, albeit with a 20% discount. Upon downloading the software for PC, it takes as little as two steps, just enter your login credentials and click “connect”. 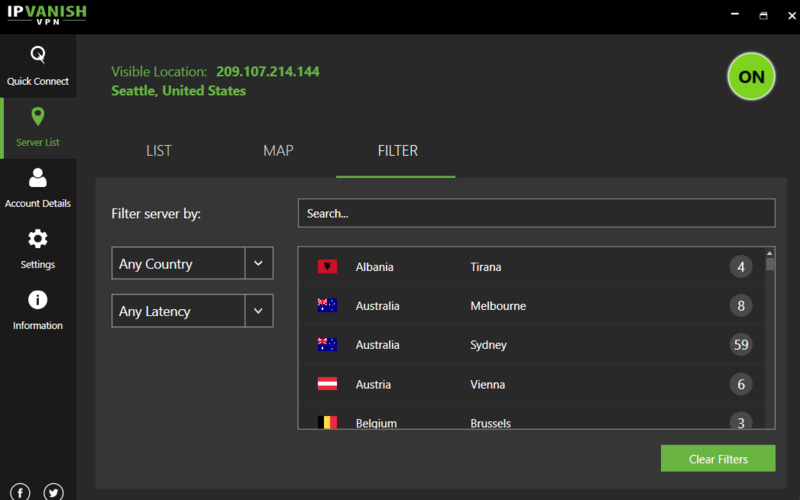 The menu might seem daunting for users that are unfamiliar with VPNs but it’s rather intuitive, the user’s focus is easily drawn to the green “connect” button. After a connection has been established between your device and the VPN, the user will then see a few stats on download speeds and upload speeds. In our opinion, the UI is beautifully made and the generated graph can be quite pleasing to look at. Fast, responsive and honest support. Today, VPN services aren’t just about sheer performance anymore, 24/7 support is now a definite criterion for a good VPN provider. In fact, a VPN provider’s service can really make it or break it form some users. 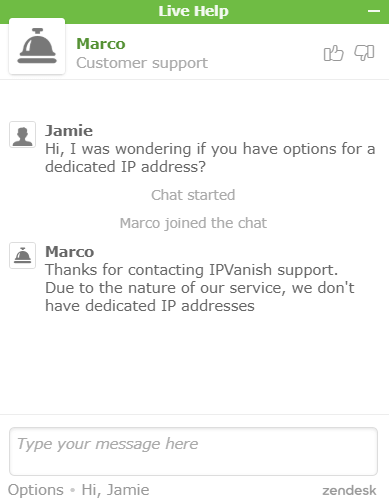 It’s a great thing that IPVanish has very decent 24/7 live support. I made an inquiry on their live chat and it took about 3 minutes before I received a reply from their end. Three minutes might not sound like a long time, but this is far from the fastest support we’ve seen from a VPN provider. Top-tier VPN providers like ExpressVPN and NordVPN would return answers within a few seconds. Nonetheless, 3 minutes is still not bad and is still within what we would consider as a fast response time from a VPN provider. We will take a 3-minute wait any day over filing a ticket or sending an email just to get support. Product Documentation: How much time do you have to read? Support knowledge base features 6 categories. Their website offers much to know about VPNs, IPVanish’s services, and some technical know-how for users to read and consume. There’s nothing over the top here, just the basics that an average user would need to know and want to know. Generally speaking, if your VPN shows leaks in IP and DNS, the only thing you should be doing is to get rid of it. IP and DNS leaks are the easiest telltale signs that your VPN has vulnerabilities. It’s a great thing though that IPVanish VPN passes these tests and this is great assurance that your online identity should not be exposed. When we talk about 256-Bit AES encryption, we’re talking about the real deal on cybersecurity. This is the same security standard used by government agencies and banks around the world to secure their data. This level of encryption fends off potential hackers from even attempting to access your data as this level of encryption is deemed virtually unbreakable even with the world’s fastest computers combined. This level of security is the same thing that IPVanish uses, this is their safeguard for an utterly secure connection. Locks = secure. It makes perfect sense! IPVanish also uses different security protocols to add more layers of protection. An option for OpenVPN can be used with IPVanish; OpenVPN has become the industry standard for security protocols as it’s open-source platform is constantly updated by security experts around the world. These security features allow IPVanish users to feel confident about their online activity even when using internet connections on public networks. Kill Switch: We’ve found one! The kill switch is easy to find within the IPVanish VPN program. It’s a sad reality that even the best VPNs can experience some hiccups like connection drops every once in a while. This leaves a risk for your IP address, or worse, your identity to be exposed when browsing the internet. A kill switch would detect these connection drops and would automatically disconnect your network or shut down your access to the internet before you become vulnerable to any leaks. The kill switch ensures that all of your internet traffic is encrypted through the VPN at all times. This is a strong feature that IPVanish utilizes as to complete their set of security measures. The price is reasonable… but think about the (lack of) features. IPVanish does not belong to the club of unreasonably expensive VPNs but neither does it belong to the ranks of cheaply priced VPNs. A monthly subscription goes for $10 a month, an annual subscription will be setting you back at $6.49 with an annual billing of $77.99. 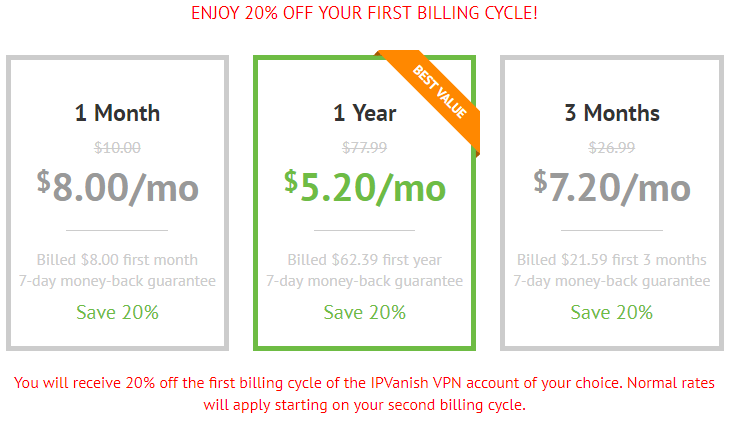 During the early ages of VPN providers, IPVanish was one of the providers to look out for and this level of pricing would have been really reasonable. But with today’s growing standards, a lot of the competition has already overtaken IPVanish’s performance as a VPN Provider. This is not to say that IPVanish is not a good service, it’s just that it could be a bit pricey for what it is. There’s a secret way to get 20% off, bringing your monthly costs down to $5.20 per month. Read our sign up process section to find out! The Netflix test would really make it or break it for some users, some VPN patrons would even subscribe to VPNs just for this purpose. 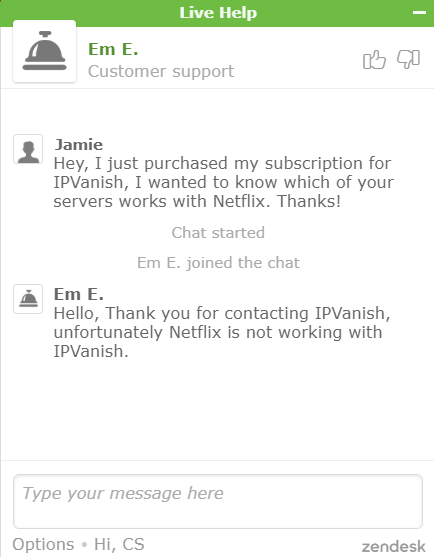 Unfortunately, IPVanish does not work with Netflix. We refused to believe at first that a VPN this pricey couldn’t bypass Netflix’s subscriptions but a quick inquiry on their live support channel has confirmed that it indeed does not work. This does not necessarily mean that IPVanish is incapable of accessing geo-restricted content; Netflix is just really a tough nut to crack for most VPN providers, except the best of the best. Despite the disappointing fact that IPVanish can’t access Netflix geo-locked content on their services, IPVanish is still able to grant users access to a host of other streaming services and websites that have geo-restrictions. Maybe you’d be interested in some other services? On the other hand, IPVanish lists some additional websites you’re able to access with the product such as Crunchyroll or ESPN. Plenty of payment options available. With cryptocurrencies being a trend nowadays, it’s kind of disappointing that IPVanish does not accept bitcoins as a mode of payment. Again, this could put off VPN patrons that value total anonymity. IPVanish has indicated in their website that they only accept major credit cards and PayPal. We’re living in 2018; this kind of payment option offering is already considered very limited. Apart from that, you already have to input your credit card information just to proceed with the 7-day trial. 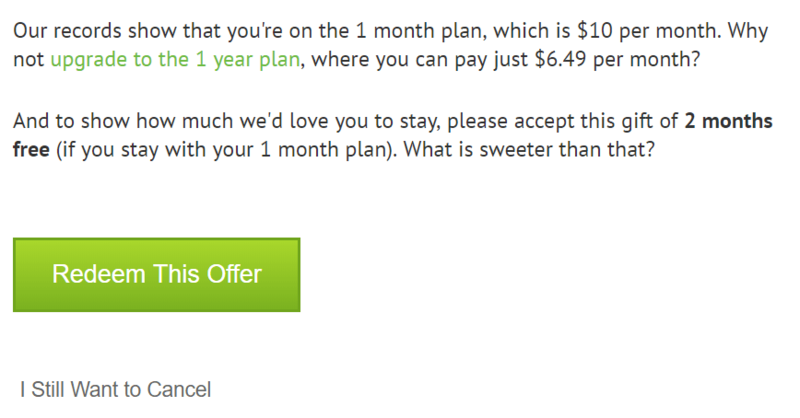 No questions asked… except whether you’re sure you want to cancel! Upon purchasing a subscription with IPVanish, our credit card was billed right away for the amount of the monthly plan. 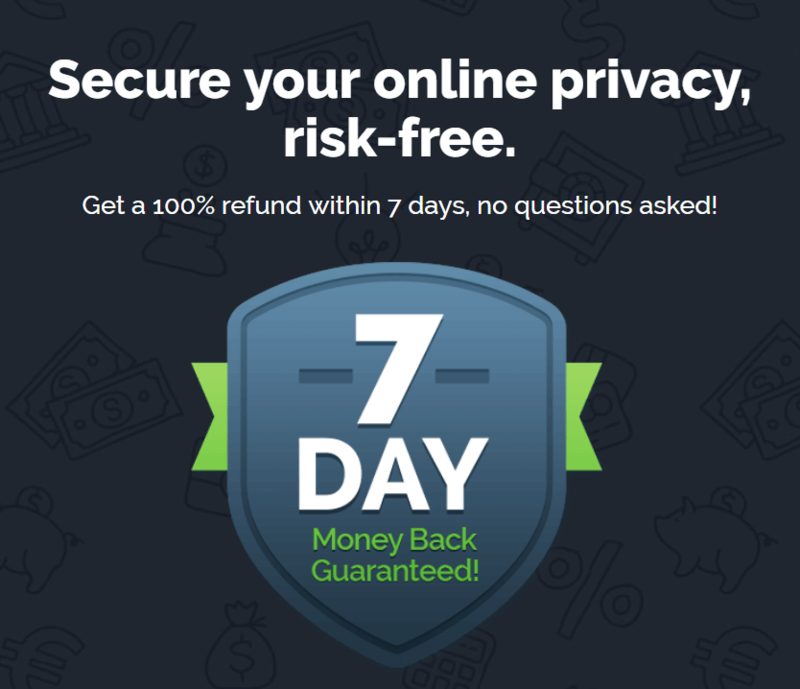 We wanted to see if IPVanish stays true to their word when it comes to their money-back guarantee. 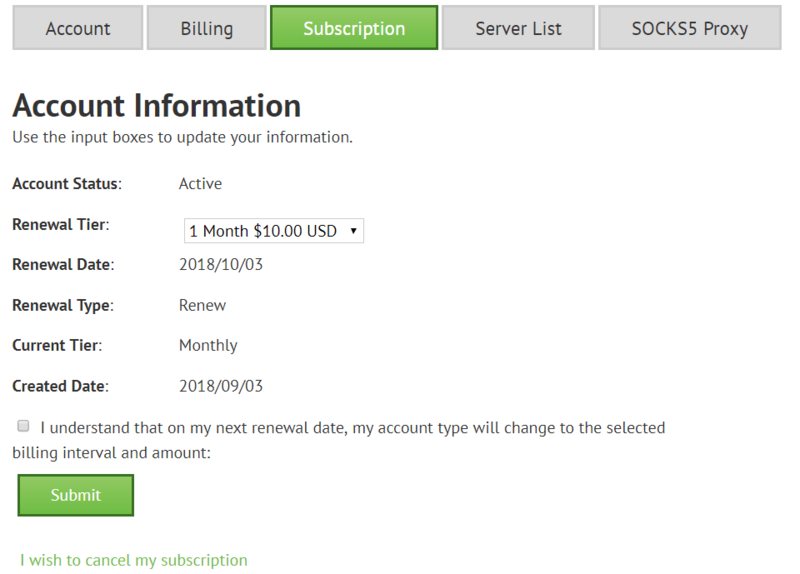 On your account page on the IPVanish website, you can access the options to your subscription, the link to cancel is written in a smaller font right at the bottom of the menu. It’s very easy to cancel your subscription. We went on to cancel our subscription to verify the money-back guarantee. 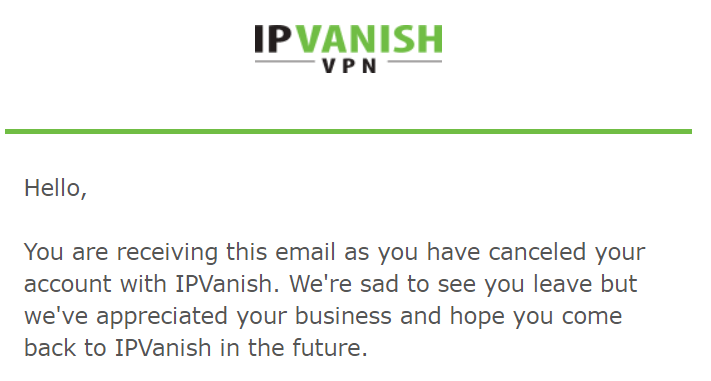 Should you cancel your subscription with IPVanish, they would give out a final offer which is a bit hard to resist. This allows you to get a 3-month subscription for just $10. Now, that’s cheap! It’s not a bad deal! For the sake of testing, we still went on with canceling our subscription; we received a confirmation e-mail immediately after the cancellation. With IPVanish being based in the United States, it is imperative that they should have a strict no-logs policy. Their website claims that they have absolutely no logs and do not track any activity of their users. Read on to find out what we mean! We’re not entirely sold on this company. IPVanish was founded in 2012 by Highwinds Network Group, a tech company based in Florida. It was acquired in 2017 by StackPath, and reportedly had 139 employees generating $4.6M in revenue in the same year. One of the first things users look for in a VPN service is the provider’s country of jurisdiction. The United States isn’t one of the countries that’s known to be friendly when it comes to anonymity, the CIA, FBI, and other government intelligence and security agencies have access to data that these VPN providers keep. Despite having a no-logs policy, IPVanish somehow led the US Homeland Security Investigations department to an arrest. Post-acquisition, the new owner of the platform assured that there is strictly no-logging involved. The previous executive and legal teams are also no longer with IPVanish or its new owner. Netizens doing illicit things on the network should really take this into consideration. Our main reservation with regards to IPVanish is their history and current jurisdiction in the United States. We know a lot of our readers would also share the same sentiments. But then again, when we look at all the other features that IPVanish has to offer, we believe it’s a decent VPN service. 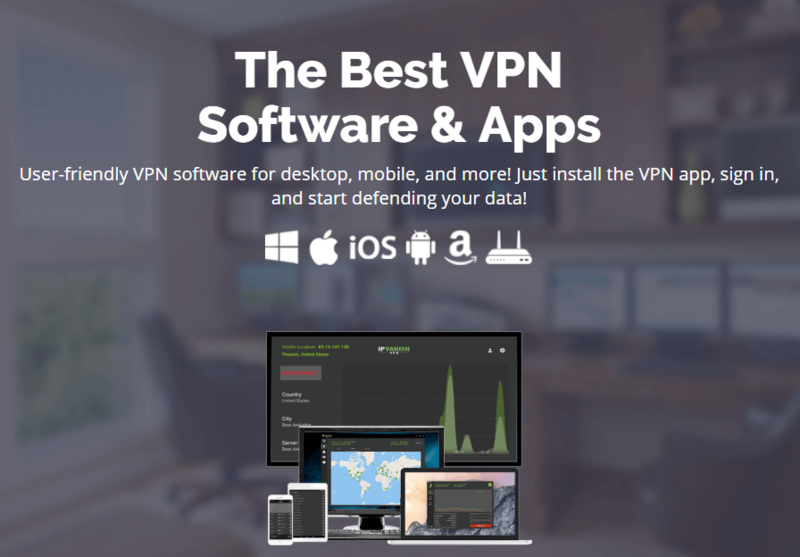 IPVanish uses security standards that can easily match any of the top-tier competition and that’s really one of the main reasons users stick to this VPN. But honestly, we would rather go with the VPNs on our top 10 list, which provide roughly the same pricing for all of the features we want. + Decent, honest live chat support.